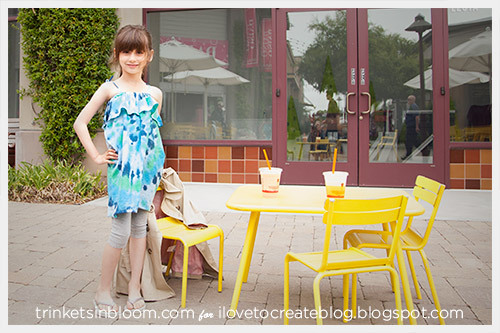 One of my favorite summer silhouettes is an off the shoulder top with a ruffle and they are right on trend for this summer. 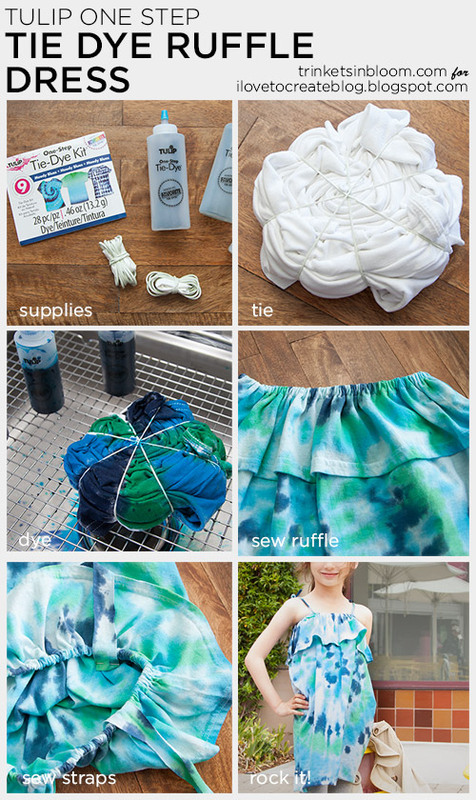 This DIY was inspired by the super cute ruffle tube tops from Lilly Pulitzer, who we all know is the queen of summer and resort dressing! 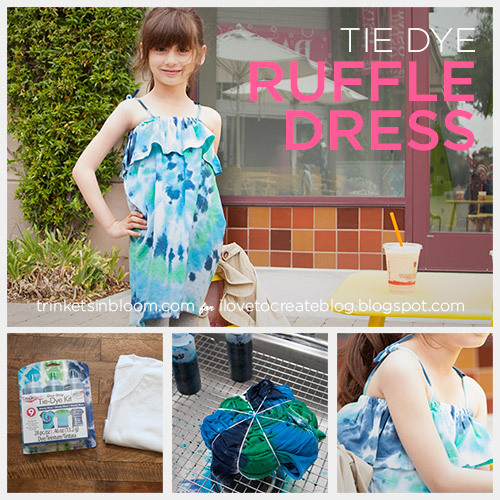 So let me show you a super easy way to alter a big t-shirt into a super cute Ruffle Top Girls Dress and while we’re at it we’ll add the perfect summer print TIE DYE using Tulip’s One Step Tie Dye kit! 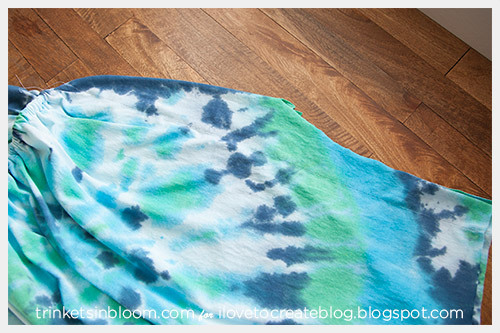 Choose the style of tie dye you’ll make. I made a big spiral. 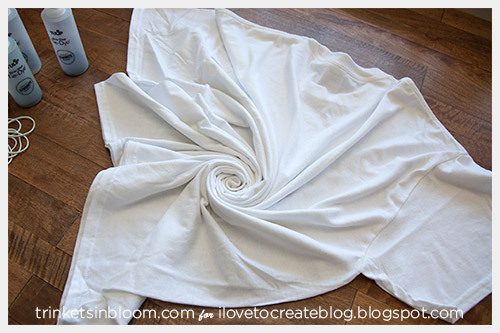 Lay your shirt out on a flat surface and pinch it where you want the center of your spiral to be. 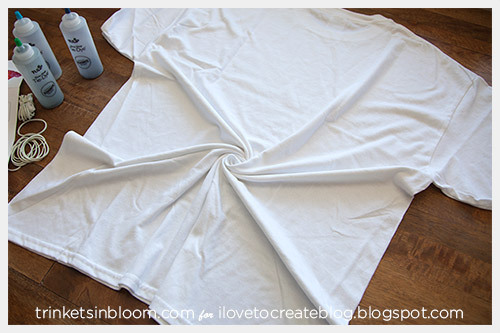 Keep twisting your shirt until the whole shirt is twisted into a spiral. Add the rubber bands across your twisted spiral to hold it in place. 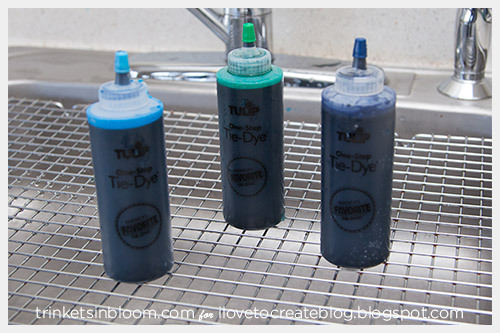 It helps to add a small amount of warm water to your dye bottles and shake them to get all the dye powder wet and mixed with the water. 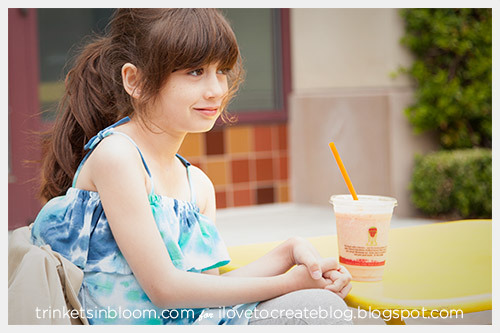 Then add cold water and fill to the top of the bottle and shake. 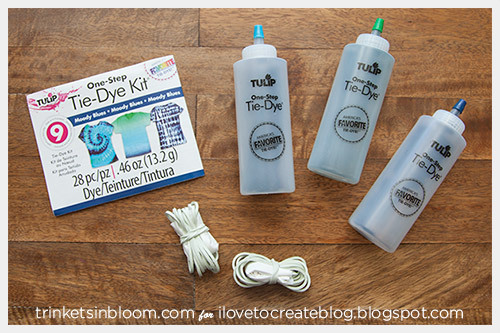 Squeeze your dye onto your t-shirt bundle. 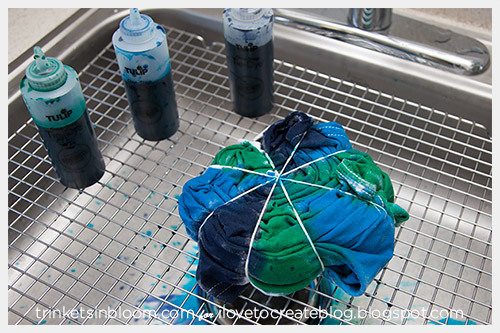 Take off the rubber bands and rinse your t-shirt in hot water. 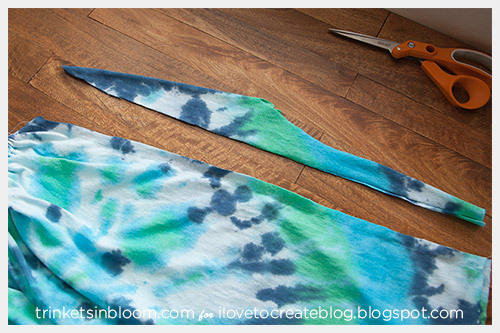 Cut off the sleeves and straight across the neck. And turn it inside out. This way when you fold the bottom hem over for the top ruffle you’ll have the right side of the hem showing. 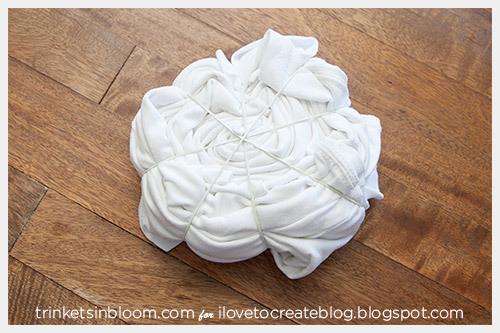 From the bottom hem of the t-shirt, fold it over and measure how long you want your ruffle to be. 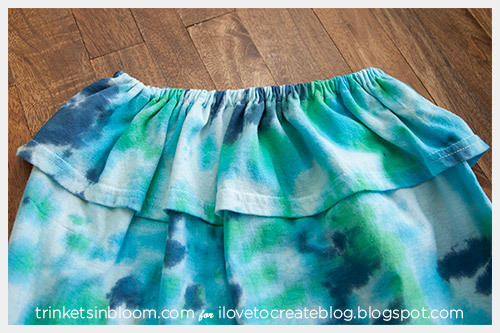 Sew a hem around the fold of the ruffle. Be sure to leave an opening to insert your elastic. 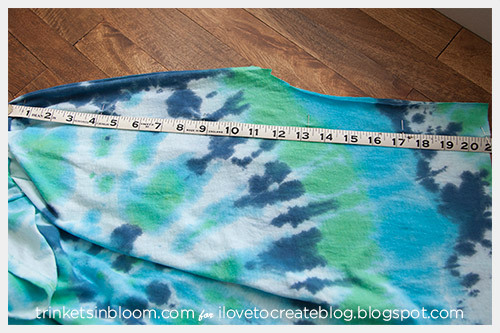 Measure your elastic to fit snugly across your chest, add at least an inch to 1.5 inches for fold over. Attach your safety pin to the end of your elastic. Feed your elastic through the hem of your ruffle. 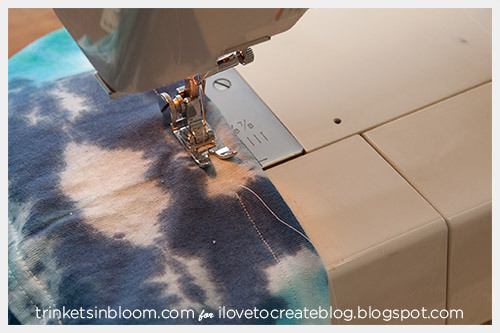 Sew the opening of your hem closed. Turn inside out, measure and pin the sides to fit. 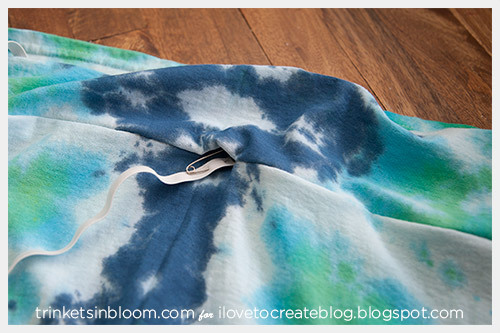 Cut off excess fabric, you can use this for the ties. 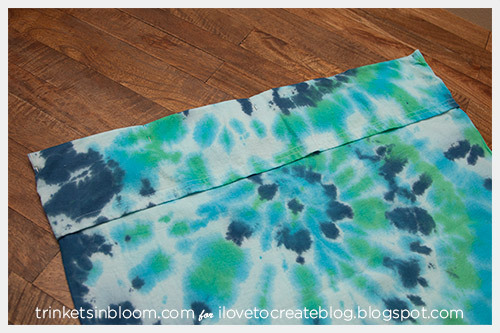 Cut thin strips from your excess side fabric. 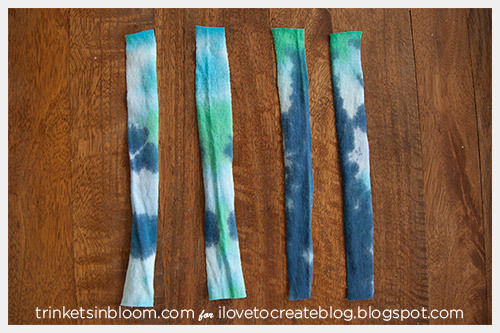 You'll need 4 strips about 8-9 inches long and about 1 inch wide. Sew the strips just inside the top under the ruffle. Stretch the fabric and tie. 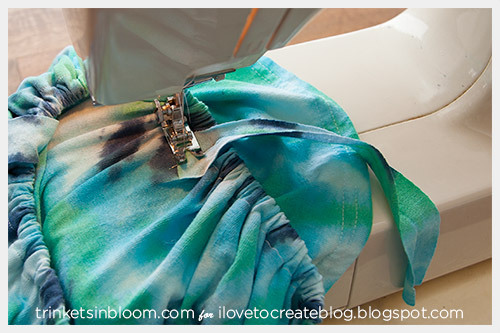 To make a Ruffle Tube Top for yourself you’ll follow the same instructions but fitting the elastic and side seams to your measurements. 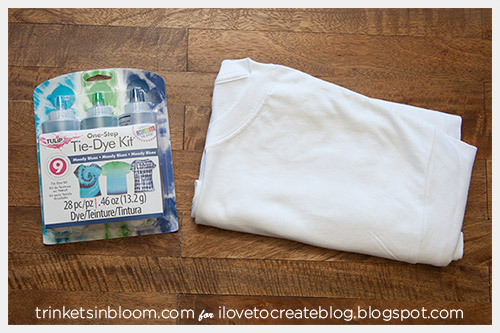 For adult tops I generally cut off the basic t-shirt straight across the chest just under the sleeves, this should give you the right length. 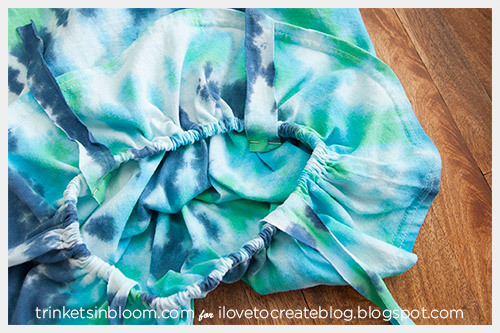 For more fun fashion DIY tutorials check out my blog Trinkets in Bloom!